The First United States Congress proposed 12 amendments to the Constitution in 1789. The states ratified ten of the proposed amendments: The Bill of Rights. The Fifth Amendment contains five procedural rights. If the government seeks to take someone’s life, liberty or property it must follow the Fifth Amendment’s rules. The Fifth Amendment’s first four rights define procedures involving grand juries, double jeopardy, self-incrimination, and due process. These procedures are to protect a person’s life and liberty from government action. The fifth procedure is designed to protect property, preventing the government from taking property without compensation to the owner. 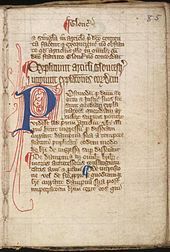 Grand juries were enshrined in English law by the Magna Carta in 1215. The purpose was to place a group of citizens between those accused of a crime and prosecution by the King. Grand jury protections came to be viewed as a citizen’s shield from improper government prosecutions. The Fifth Amendment requires that before the federal government3 can prosecute someone for a felony (capital, or otherwise infamous crime) it must present the evidence to a grand jury.4 A prosecutor presents evidence to a group of citizens (grand jurors) and those citizens determine, by a majority, if the government has enough evidence to indict (accuse) and prosecute someone for a crime. The best known Fifth Amendment protection is the right to remain silent. It applies not only to criminal defendants, but others from being forced to give testimony or make statements that may be used against them in a criminal prosecution. A witness in a proceeding, other than the defendant, may “plead the Fifth” and decline to answer questions if the witness reasonably believes such answers may implicate him in criminal activity. The Miranda warnings advise criminal suspects of their right to remain silent. Advice to a suspect of his right to counsel comes from the Sixth Amendment. When law enforcement takes a suspect into custody, a suspect must be made aware of his rights. If law enforcement fails to inform a suspect of his rights, any evidence obtained may not be used against the defendant in a trial.7 These Fifth and Sixth Amendment guarantees apply equally to state and federal governments. Due process is guaranteed for all citizens regarding the rights, guarantees, and protections provided by the U.S. Constitution and all laws passed under the Constitutions authority. Absent due process the government cannot deprive someone of life, liberty, or property. Due process guarantees a judicial proceeding that is fundamentally fair, orderly, impartial and just. The Fifth Amendment Due Process Clause applies only to the federal government. Rights to Due Process in state proceedings were guaranteed by identical language in the Fourteenth Amendment. The concept of eminent domain permits the government to take private property for public use. The Just Compensation Clause requires a government doing so, whether local, state or federal, to compensate the property owner whose property is taken. Just compensation has been interpreted as fair market value, defined by what a willing, unpressured buyer would pay in an arm’s length transaction between unrelated parties. Historically, “public use” was considered to be for roads, public utilities or buildings. In 2005, the concept of public use was controversially extended by the Supreme Court to include government taking property from a private owner to make that property available for private commercial development. Fifth Amendment Protects “Inalienable Rights” by Mandating Government Procedures. The First and Second Amendments acknowledge “natural rights” and limit government actions regarding speech, religion and self-defense. The Third and Fourth Amendments provide process protections revolving around a more philosophical liberty interest perhaps best described as “privacy”. The Fifth Amendment acknowledges the rights of life, liberty and the pursuit of happiness by requiring specific procedures if such rights are to be infringed. The Declaration of Independence philosophy of Natural Law finds constitutional expression in the Fifth Amendment. 1In Locke’s Second Treatise on Government. 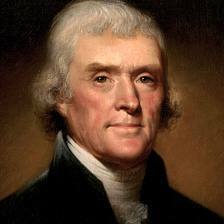 2Jefferson took a bit of literary license in writing the Declaration. 3The Bill of Rights initially applied only to the federal government. After ratification of the Fourteenth Amendment, most Bill of Rights protections applied to the states. The right to a grand jury indictment still applies only to the federal government. 4Grand juries typically are made up of 18 to 23 members. Trial juries range in number from 6 to 12. The larger juries are thus “grand”. 5“Jeopardy” and “attach” are legal terms of art. 6Double Jeopardy protections have been extended to state prosecutions by the 14th Amendment, unlike the Grand Jury provision. The Zimmerman/Martin controversy is an example of why grand juries should be used in state prosecutions as well, although only 22 states have grand jury provisions. 7This is enforced through a court created “exclusionary rule”. The exclusion of evidence does not happen automatically, but rather is the result of a request to the court by defense counsel through a “Motion to Suppress Evidence”.